Availability: In Stock., 310 Available. 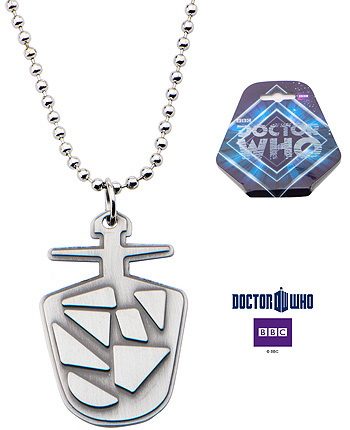 Doctor Who Classic TARDIS Key Two-Sided Pendant Necklace. Pendant Dimension: 1 3/4" (Length) x 1 1/8" (Width) x 1/8" (Height). Chain Size: 22 inch long.